Makes 12 "bites". 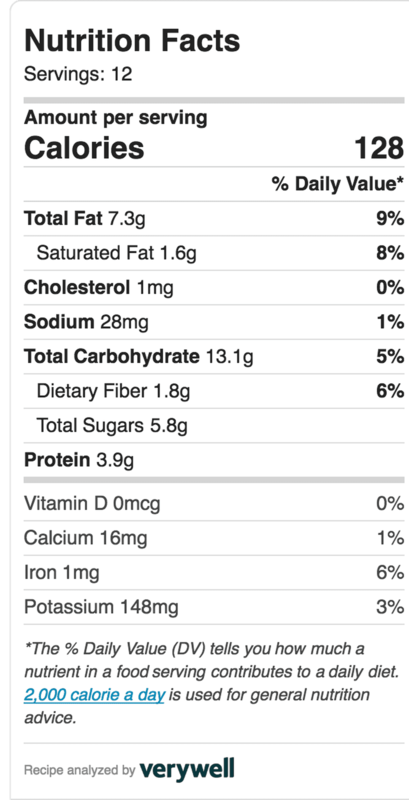 Nutrition facts below are for 1 of the 12 bites. In small pan, add nut butter, mashed banana, syrup or honey, vanilla. Spread on a parchment lined baking pan or cookie sheet and flatten and smooth with your clean hands. Preferably less than 1/2 inch thick. After it is frozen, cut or break into about 12 pieces. To serve, eat frozen or thawed. Can thaw for 15 or 20 seconds in microwave and eat with fork. Yum. Add raisins or craisins instead of chocolate chips.